There are many things that are charming about older homes, but their electrical wiring and infrastructure are rarely one of them. If you live in a less-than-new property, you have probably already run into some strange wiring glitches, outlets that don't work, or light switches that don't seem to do anything. These idiosyncrasies may be things that you can live with, but not all electrical issues should be left alone. Find out what electricity-related problems to keep an eye out for, and how an electrical services professional can help you resolve them. Have you ever had the experience of not being able to run two appliances in the same room at the same time? Say you're in the kitchen and you have the coffee maker going and you put something in the microwave to heat up. After a few seconds, both machines go dead and you have to trek down to the basement to reset the breaker that tripped. In a different scenario, let's say you're in the bathroom using a hairdryer. You turn it on and then the lights go dim or start to flicker as the hair-dryer draws power. Nothing stops working altogether, but it's clear that the demand for power is exceeding the supply. When you stop to think about it, the problem is not that there's not enough power available from your local utility. It's that the conduits for the power - i.e. your home's electrical wiring and panel - aren't in sync with the demands of the modern age. This is not only an annoying state of affairs: It's also a dangerous one. If you find that there's not enough power in your home to run the appliances or lights that you need, don't ignore the problem. Constantly resetting tripped breakers or dealing with flickering lights are minor issues when compared to the danger of faulty wiring. If left untreated, old, worn out, or frayed wires could easily start fires, causing home damage, personal injury, and even death. If you live in an older structure and you are experiencing electrical problems, call your local electrical service specialist to come check out your electrical panel and/or wiring today. Making the necessary upgrades or changing out your panel will not only make things run better in your home. It will also make your house a safer place. 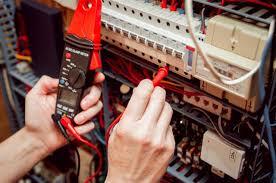 If you're having electrical issues, contact your local electrical contractor today. He or she will be able to assess the situation and make the necessary upgrades, repairs, or replacements so that your home runs the way it should. Not a lot of people go to great lengths to plan the type of lighting installation they will be mounting in their kitchens. When it comes to picking the best lighting solution for a space many do not stop to think that it is just as important to install proper lighting in their kitchens. A lot of the time all the good lighting is reserved for areas that tend to be occupied mostly by guests or visitors. Thankfully more and more people are slowly realizing that it is just as essential to a lot time in considering which lighting fixtures will work optimally in their kitchen and preparation area. 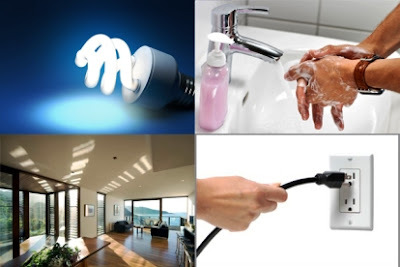 The most confusion people have is deciding between the installations of fluorescent light versus LED kitchen lighting. The reason behind this confusion lies mainly on the fact that these two fittings have been used in many homes for years. Additionally both are considered at the top of their game when it comes to providing the most efficient lighting solution. Each one however has its own qualities that any homeowner must weigh on before making a purchase. Fluorescent lighting is not a new innovation; it has in fact been used in many areas for years now. When it comes to efficiency the most popular of the fluorescent bulb family are the fluorescent tubes. On the other hand the high costs of installing these fittings have made people turn to the cheaper alternative of incandescent bulbs which are unfortunately an energy guzzler. In the recent years however newer types of fluorescent lighting known a compact fluorescent light or simply CFL has been made available in the market. These fittings are designed to work easily with pre-existing fixtures that housed incandescent bulbs. Unlike its ancestor the new innovations are comparatively more efficient thus they were sold as a greener alternative. The biggest concern with CFL's would be their mercury content. This entails that the product require careful handling during installation and even when being disposed as it's easy to run the risk of mercury poisoning. The newest addition to lighting solutions are LED light fixtures. Their credentials boast highly of their amazing efficiency. There are still however queries regarding their reliability since the technology used for it is still a work in progress. The beauty in LED lights aside from some of the units developed to fit current fluorescent lighting fixtures with the difference that LED uses minimal energy. Of course it cannot dispute the fact that although it is a bit more costly than other lighting alternative there are however many varieties of LED fixtures to choose from. Not only does it come in more shapes and sizes, consumers are mainly drawn to the wide selection of colors to choose from. One cannot argue that the fluorescent light technology offers a more stable option since it has had a longer run and many of its kinks have already been ironed out. However between the two types, kitchen LED downlights win the battle of efficiency and effectiveness. The choice is decided for the simple reason that LED lighting affords consumers a better safety feature as well as a more reliability. Unlike other types, this fitting does not contain any toxins that can be potentially lethal as is the case with mercury poisoning. 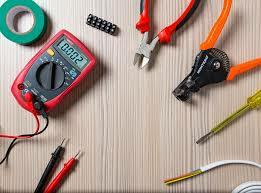 Professional Electrician in London serving London and the surrounding area successfully for years.